The CEOs and executives of Los Angeles and Southern California businesses need accurate financial information in order to make correct decisions that will lead to successful operations. One of the main tools they rely on to receive the accurate and timely financial information they need is financial statements. A complete set of financial statements includes both an income statement and a balance sheet. In most companies, financial statements are prepared and/or reviewed by the CFO or controller, who then reviews them with the CEO and executive management team on a monthly basis. In particular, the controller or CFO will present the income statement and provide explanations of the variances between what was budgeted and the actual results for the period being measured. Sometimes, though, CEOs and executives don’t give the balance sheet the attention it deserves. The failure to properly review and understand the numbers on the balance sheet can be harmful to the company in several different ways. In a worst-case scenario, it could be a material amount that results in an adjustment to the income statement at the end of the year. Or it might not be caught until after the year-end close if an audit or review is not performed, which is common at many small, privately held companies. § If caught before the year-end close, the adjustment could result in a decrease in bottom-line income for the year. § If caught after the year-end close, the adjustment could lead to a restatement of the financial statements and amended tax returns (both business and personal). 1. CEOs and executives need timely and accurate information about bottom-line income, since this number will impact important financial and operational decisions they need to make. 2. The numbers on the income statement are meaningless when viewed outside the context of the numbers on the balance sheet. 3. Unforeseen operational issues could arise if CEOs and executives don’t stay on top of the balance sheet numbers, including staffing errors and concerns among employees that they might lose their jobs, which can become a self-fulfilling prophesy. 4. Unnecessary chaos and stress for owners, the executive management team and rank-and-file employees. 5. Embarrassment on the part of the CEO and executives when they have to inform lenders and investors about the errors uncovered. 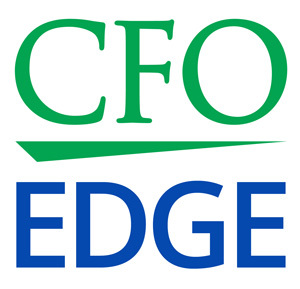 An outsourced CFO services provider can help CEOs and executives of small and mid-sized companies with the monthly review of their financial statements, including both the income statement and the balance sheet. By working with an outsourced CFO, you will benefit from high-level financial expertise on an as-needed basis, which saves your company both money and time. 1. Timely access to the financial information you need to make financial and operational decisions. 2. Avoidance of expensive and time-consuming restatements and amended tax returns. 3. Better relationships and more trust with your creditors and investors, who will view you and your executives as more knowledgeable about your business. 4. Faster and easier access to loans from creditors or capital from investors. 5. A smoother running organization, with few unpleasant financial and operational surprises. One of the main tools CEOs and executives of Los Angeles and Southern California businesses rely on to receive accurate and timely information is financial statements. But sometimes they don’t give the balance sheet the attention it deserves. It’s critical that CEOs and executives take the time to review a complete set of financial statements, including both the income statement and the balance sheet. An outsourced CFO services provider can help in this process by helping you understand the categories and the numbers on the balance sheet, as well as what to look for and the right questions to ask your financial staff.